The ADseries is the next generation of cargo management solutions, engineered to optimize your Ford cargo van storage and accessibility. 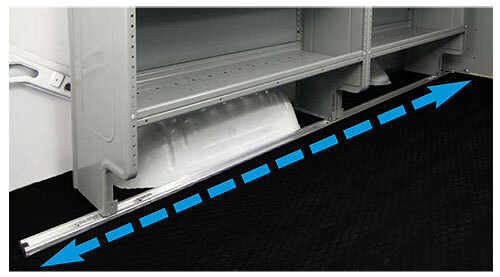 These heavy-duty cargo van shelves are engineered to optimize the space in your work van. 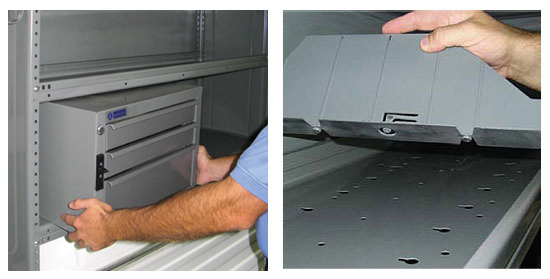 They are fully adjustable so that they work perfectly with in your cargo hold. 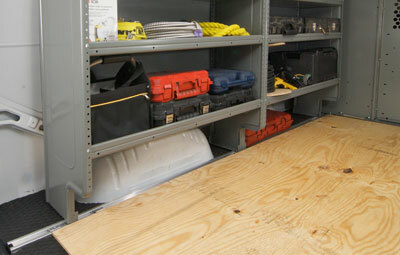 Resize them to fit your tool selection or other items you carry from job-to- job. Featuring truly ADjustable shelves, an ADaptable rail system, heavy-duty shelves and an ADvanced stamped steel end panel designed to accommodate the diverse range of cargo you need to get the job done! The ADseries is an ADrian Innovation and is backed by our industry-leading 3 year/36,000 mile warranty.